I want to talk about the fabulously talented Kayla Morgan and her adorable chic handbag brand Kay-la Handbags. All of her goods are handmade in the Deep South in her Hammond studio. The prints are incredibly fun and whimsical and just add that perfect pop to your wardrobe. I have known Kayla for many years now ( I think a decade actually, whew) and love keeping up with everything that she is doing. I am thrilled for you to have the opportunity to know more about Kayla and her handbag empire. -Tell us about the beautiful woman behind Kay-la Handbags?! Well where do I start...I've been working on my craft for about 15+ years and evolving my handbags along the way. I live with my golden retriever, Roxie in a 100 year old cottage. My house is full of local artist's work and nothing really matches but somehow it blends. My love all for all bright, vintage-like and functional is where my passion for my business comes from.-- you should see my front porch-it's bright!! I'm a hometown gal with a big city love but my southern roots are pretty deep. I graduated with a BA in Marketing and strong art background so the handbags just came about ... truly a natural fit. -How did you get to where you are today? Never giving up and making mistakes- You can't be scared to make the mistakes.. that is where the learning happens. The artist in me is always reinventing the process and the product but surrounding myself with positive creative people is a huge bonus! But in the end, it's the ladies (and men) that have bought my goods! They are the reason I'm where I am today. -Do you have a favorite from your collection and why is it your fave? My vintage Tie collection. This collection first premiered in the early 2000's and I brought it back about a year ago. It was originally inspired by my dad's tie collection. (He was a cigar sales rep for years in the 70-80's with a hip style so I had the best inspiration). Something about the eclectic mix of an old tie on a printed fabric makes me happy! It's just unique and FUN! -What has been your greatest achievement in your handbag career year-to-date? Hmmm. probably receiving 6 different design awards from the Fashion Group International. but there are really so many! -If you were to design a bag specifically for one person, who would it be and why? 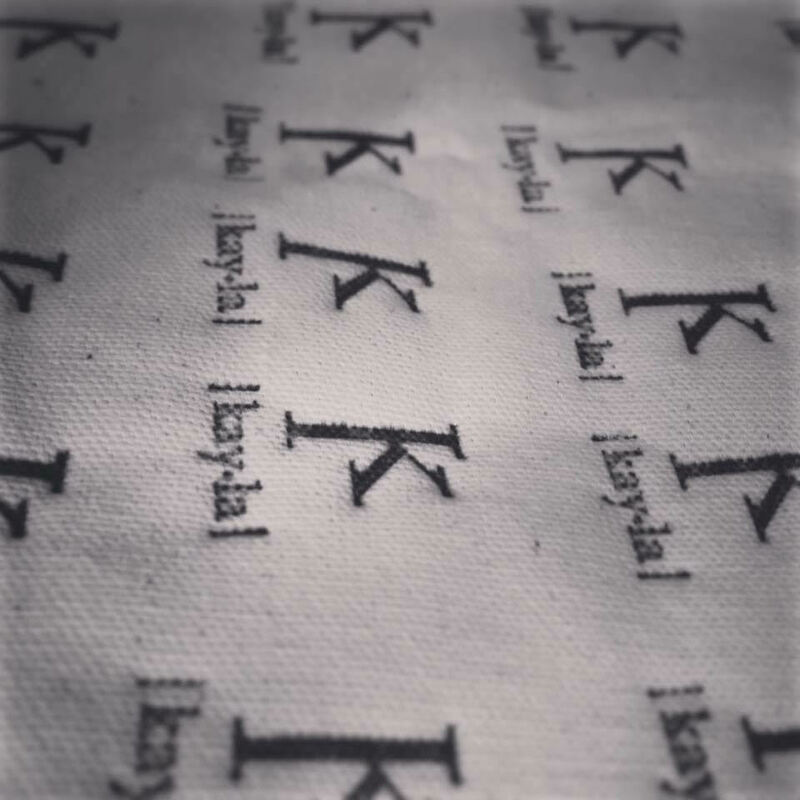 - How is a Kay-la handbag made? What are the materials you use and how do you get your inspiration for your collections? My inspiration and designs really start with what inspires me! --I have to love it to make it and sell it but I also listen to my clients- what they are looking for or what they need in an accessory. I don't get too caught up in trend reports etc, I really have always had a natural pulse on what is current with colors and prints. (creative souls just work like that, smiles). We start with our patterns which take months to develop and prototypes which I test in use. We use quality cottons to texture fabrics and even leather on some pieces. All of our items are made in Louisiana. Keeping the labor local was important to me: 1. to have easy access to the production and 2. to support other local women with incredible talent. -What kind of person has a Kay-la handbag? 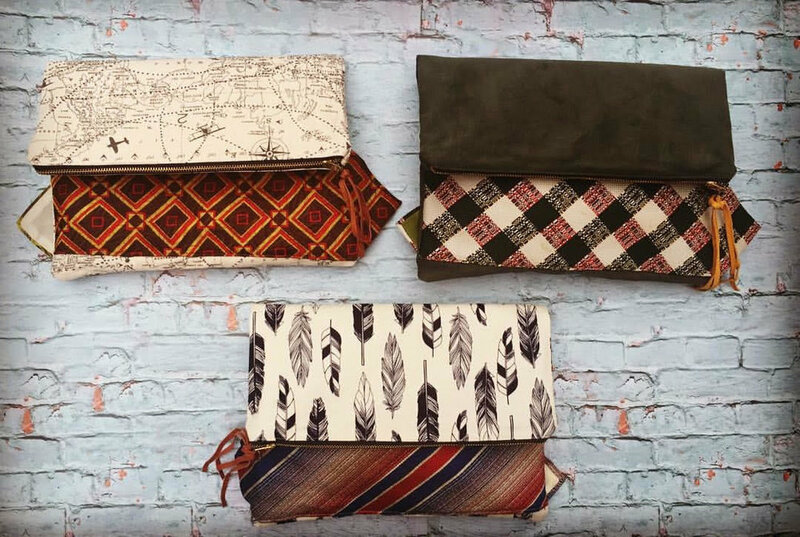 We cater to a variety of women... from the college gal in her early 20's-- small accessories, to women in their 30's - small hand clutches, to new mom's- crossbody styles. The "kay-la handbags" gal is definitely fashion-forward and on-the-go! --she likes to support local designers and see the value in each handcrafted item! -You have added other items to showcase like the eyeglass case?! What other things are you making? New items to keep our eyes out for? -What kind of advice would you give to someone wanting to get into the fashion industry today with their own line of handbags? -How do you balance your personal and professional life? Check back with me in about a year.... this is a work in progress. -What is the most important lesson you have learned from your professional life? I had a store front which opened before the recession in 2008 and we made it through. I eventually closed it so I could focus more on my designs and less on the retail end of things but I learned how to evaluate opportunities and make better decisions. I consider that 6 years... getting my MBA! -What advice would you give to your 23 year old self? Practice. Invest in yourself more, Learn more, take more classes, ask more questions! Never stop making art! -----whatever that is! -If you could design a bag for me, what would you create? Boho chic-- for fall -- definitely fringe with large compartments, if it were summer- some funky up-cycled hand clutch! -You have incredible style...where do you get your inspiration from? My style icons are Jackie O, Audrey Hepburn, and my mom! I love the styles from the 50's-60's. However I love to mix patterns and colors. One piece always has to be bold! -Favorite thing in your closet? Currently (this changes monthly) Yellow Denim Jeans! they are fab!!! -Fall item you are coveting? I covet it every year! My poppy red JCREW coat! I can't get enough of it! So... I have a beekeeping business with a college friend! Lately some fave things have been learning more about that business and enjoying walks with Roxie, taking in nature, and a good glass of wine with friends on the weekends. I had a personal goal this year to explore more locally (food, art, travels), that I just don't take advantage of... so I've made some trips to a few of the coastal towns near my area, exploring more art markets, more museum trips and more antique shopping! Find your perfect Kay.la Creation here and let me know which one you order! I am personally loving the gator leather bags and the flamingos are so adorable!!! I also am lusting over the world map pieces for a good friend of mine.